Bring Out the Best of Your Outdoors With Landscape Lighting! Interior designers will tell you that lighting is a critical element that can bring the best out in a home. Lighting creates space, depth, and mood, but can it do the same outdoors? 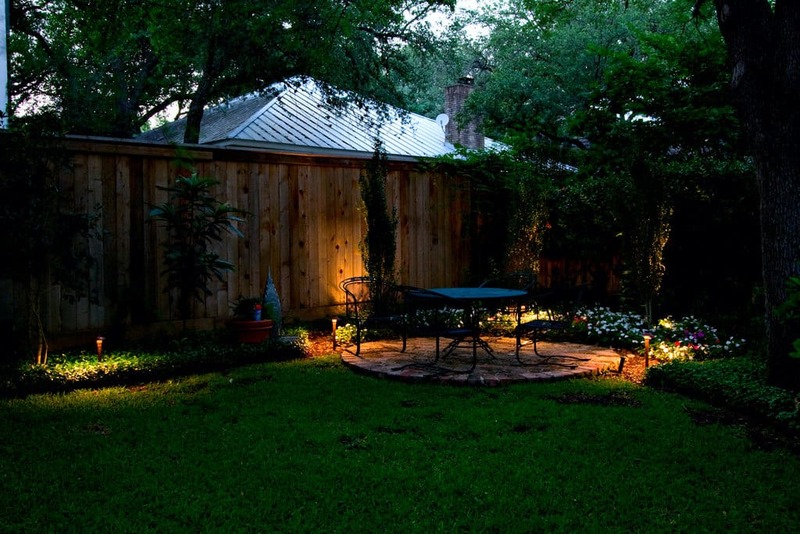 Orlando landscape lighting probably won’t be needed for creating the illusion of space, but as far as depth and mood go, you can be absolutely sure that lighting will bring drastic improvements that will make you love your outdoor spaces even more than before. 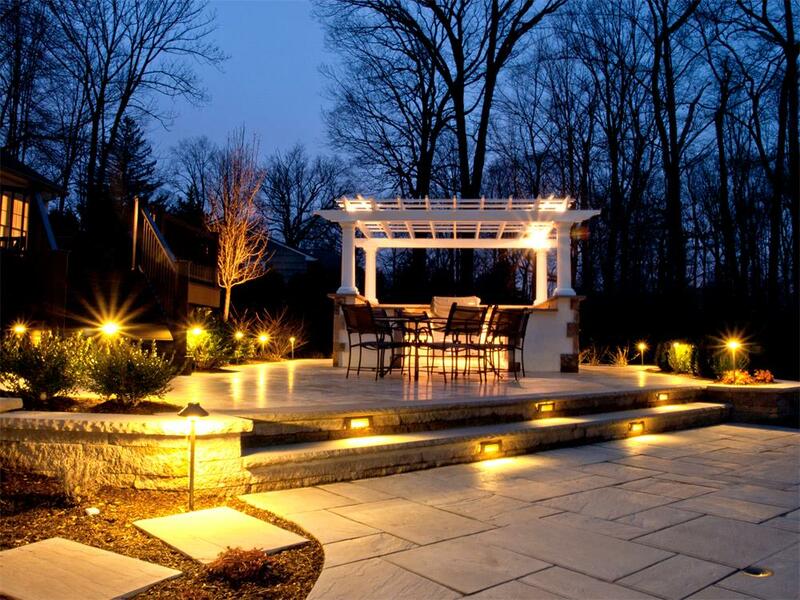 If you’ve invested in landscaped paved areas, a swimming pool, or any kind of outdoor feature; you need to talk to the Orlando outdoor lighting specialists so that you can keep on enjoying your outdoor features, even long after the sun has gone down. Ground Source has the team of expert landscapers and lighting specialists that help you to turn your outdoor living areas into evening entertainment hotspots that you can enjoy all year round. Lighting provides plenty of benefits with no disadvantages. Installing lighting is one of the few home investments where absolutely no compromises need to be made. Light up your garden paths for nighttime illumination and extra security. Bring attention to outdoor water features, gardens, and beautifully manicured trees. Light up your patio area for evening entertainment with friends and family. Provide lighting around a pool or hot tub for safety and mood. Increase security around your property. When it comes to landscape lighting is more popular today than at any time in the past, and it’s more affordable to run. Innovations in LED lighting technology mean that outdoor lights can run cooler with less energy consumed, even when providing illumination in excess of what is possible with incandescent or halogen lighting. Led lighting also provides far more color choices, which can be perfect for setting the right mood for any of your outdoor areas, or for any special event. LED lights have changed everything when it comes to Orlando outdoor lighting, and there’s really no exaggeration in that statement. In the past, traditional lighting systems would need to use different bulbs or at least different filters to create beautiful multicolored display lighting outside your home. Today, LED lighting means that you can have full RGB systems, allowing for virtually unlimited color options. You can change your mood lighting with a simple adjustment, or produce pure white or yellow lighting when you need it. LED technology hasn’t just made it easy to have specialty lighting. More efficient solar lighting options are also available, such as Orlando path lighting that you won’t need to plug into a power source. Solar garden lights can last all night and will recharge during the day, making for a maintenance free lighting solution with a long lifetime. 2018 is one of the best times to start installing Orlando outdoor lighting at your home, and the team at Ground Source is standing by to provide you with options based on your needs and design ideas. Because LED lights are more compact, they also allow for more creative Orlando lighting ideas. Do you want to illuminate the feature trees around your yard? There are options for traditional flood lighting, as well as mesmerizing lighting designs like ‘dripping’ lights which look amazing during holidays and special occasions. Poorly lit areas can lead to accidents, and the last thing you want is for you, a family member, or one of your friends to be injured because of a lack of outdoor lighting. Injuries relating to slips falls, and trips could be serious in some circumstances. You need to be sure that all high-risk areas are lit up whenever you are entertaining guests or relaxing with your family in the evenings. Having appropriate lighting in key areas outside your home will protect against potential accidents and will also help to protect you from liability claims. Ground Source does more than just specialize in Orlando outdoor lighting. As a complete landscaping and paving service; we’re able to incorporate all of your design ideas into a single package. Build a beautifully lit patio, a retaining wall with garden lighting, or an illuminated paved path that wraps all the way around your home and garden. From poolside lighting to fire pit or barbeque area LEDs, the team can turn your outdoor living spaces into evening entertainment hubs, or, you can simply get the lighting that you need to sit back next to the pool and relax with your beautifully paved and landscaped surroundings. By combining all of the work into a single job, you’ll be able to ensure that every aspect of the project is closely managed, with a consistent aesthetic and goal in mind. Perhaps best of all, you’ll only need to deal with one Orlando landscape lighting, design, and paving company. That means one bill and no stress with having to coordinate different contractors to get the outdoor living spaces that you’re looking for. For any project, big or small, we’re Orlando’s premier landscaping and outdoor lighting company. Consistent results that are trusted throughout Central Florida are what you can expect when you hire the best. Light up gardens and entertainment areas, increase security and enjoy all of the benefits that high quality and efficient outdoor mood and safety lighting can bring to your home.